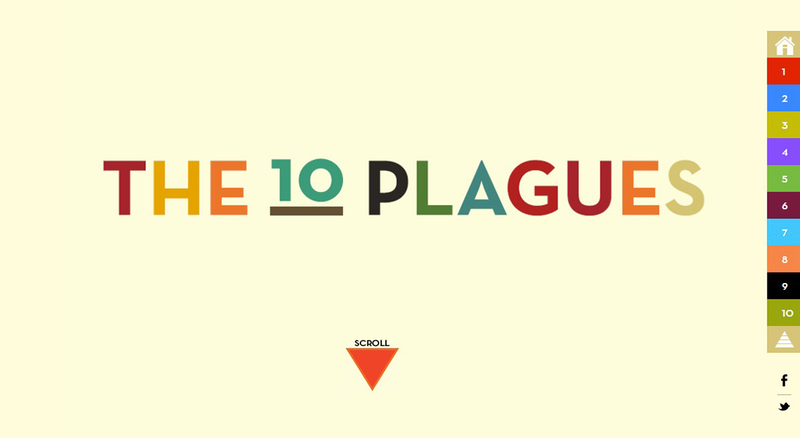 Colorful parallax scrolling One Pager illustrating the 10 famous plagues. This site was to showcase ‘web design’ at a career day for first graders. Great job! When my daughter asked me to talk to her first grade class for career day, I knew I had to do something awesome and show them that web designers have the most fun.